The LabQuest Emulator is a free simulated version of the original LabQuest on a Windows® computer. 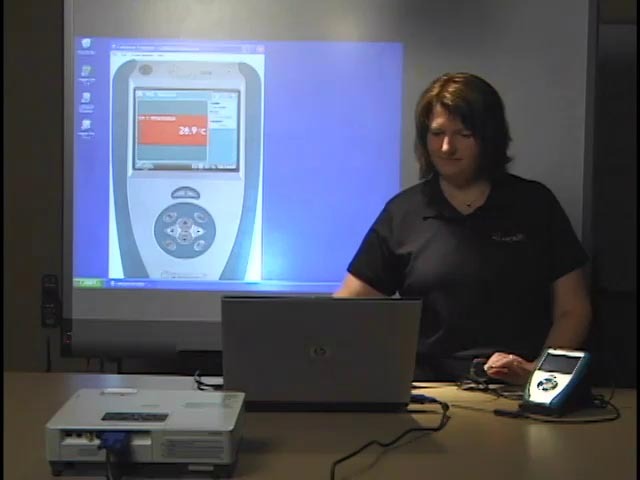 Use an interactive whiteboard or projector and demonstrate the functions of the original LabQuest to a class or group. Create screenshot images of the original LabQuest software for use in your own lab instructions. Collect data on a computer using the LabQuest emulator software with the an original LabQuest interface and sensors. If you have an Intel-based Macintosh and desktop emulation software (such as Parallels), you can run the emulator from Windows on your Mac.